When you decide to get into the world of online gambling and slots, you will come across something that is known as the RTP, or Return to Player, casually explained as slots payback percentage. This is a very important aspect if you want to be a successful slots player, and something that you should look into. Not all casinos post their slots payback percentages or RTPs, but many of them do like those at Fhatscasino.co.za. Those percentages are not made up by the casinos themselves. Instead they are extracted from the audit reports that third-party auditors make when they test the casino’s games and their Random Number Generator. This is why you can usually find them in the form of documents attached to the bottom of the casino’s website. The biggest third-party auditor that makes this kind of testing is eCOGRA. So, what do you must know about slots payback percentages? First of all, you have to know how the payback percentage is calculated and what does it mean for you. The percentage shows how much (in percent) returns to you over long term if you don’t experience some big wins. It’s how much you can expect to win from any slot without much spectacle. When you do score a big win you practically alter the percentage into your favor. The percentage can vary in size. The most favorable percentages in terms of slots are those that are higher than 97%, while anything lower than 94-95% is considered a bit poor. The lowest payback percentage is with online progressive slots which usually goes down as 89%. This is obviously because of the progressive jackpot, which if won makes you filthy rich. The best way to decide which slot to play is to look for its payback/payout percentage. So, if a given slot game is said to have 96% payback percentage, it means that out of $100 wagered, $96 is returned to you as winnings. What most players don’t realize is that you don’t necessarily end up with $96 when you have wagered $100. As you wager those $100 into separate bets you win something, you lose something, and if you calculate all of that you have won you will see that the percentage is correct. If during your wagering activity you have made several big wins, and ended up with $200, but you continued playing and you lost it all, it doesn’t mean that the slot has robbed you. It means you don’t know when to stop when you are ahead. So, remember to always go for the slots with the higher payback percentage that is if the casino gives such information on its slots. Don’t go just for the slot that has a prettier theme or design. Online slots have much favorable percentages than land casino slots, which can go as low as 80% or 70%. 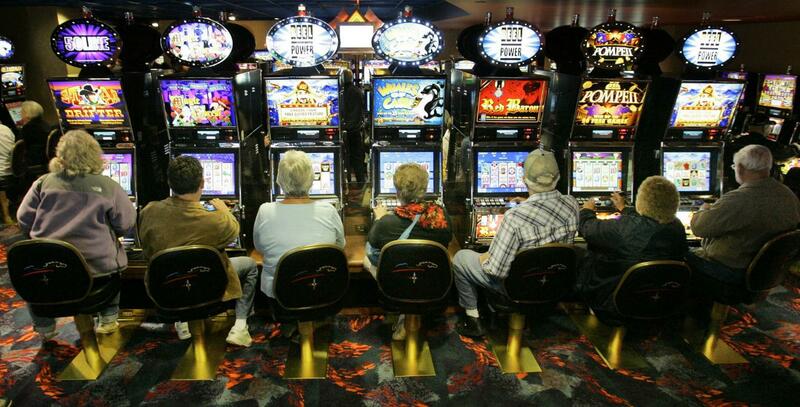 This is why online slots are far better and superior.